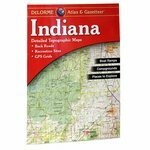 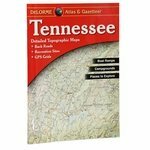 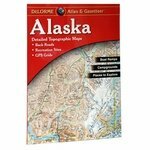 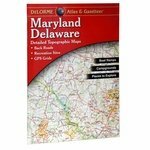 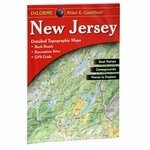 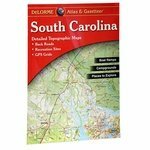 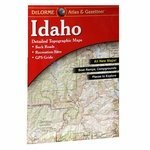 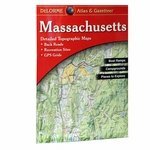 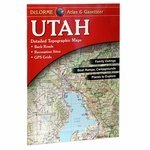 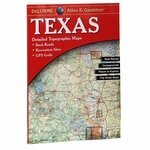 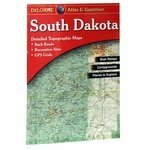 Garmin / Delorme Atlases and Gazetteers. Amazingly detailed and beautifully crafted large-format maps for all 50 states featuring topographic maps with elevation contours, major highways and roads, dirt roads, trails and land use data. 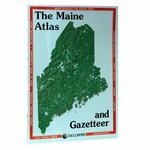 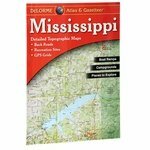 The gazetteer sections contain information essential for any outdoor enthusiast, such as points of interest, landmarks, state and national parks, campgrounds, boat launches, golf courses, historic sites, hunting zones, canoe trips, scenic drive recommendations and more (information varies by state).